Have you heard of the colour ´living coral´? 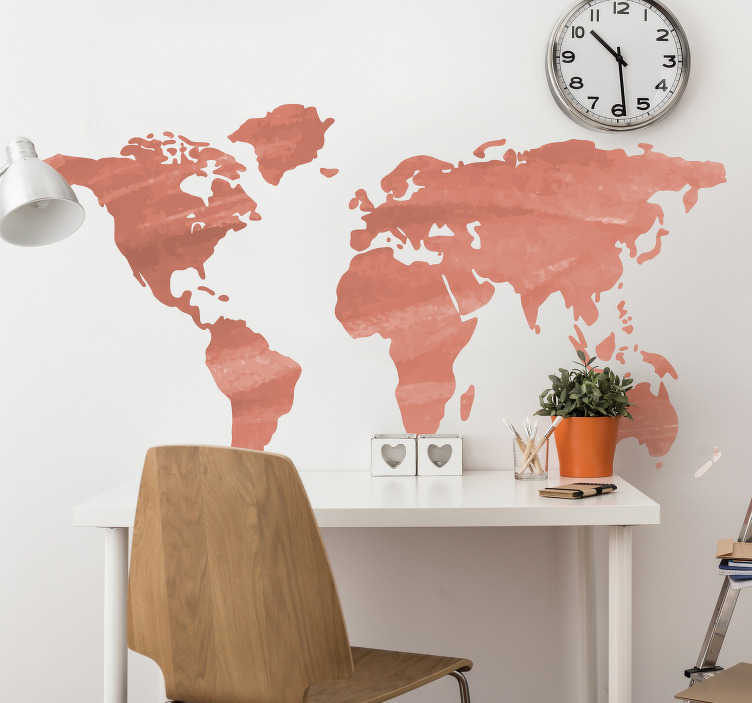 If the answer to that rather straightforward question is yes, then this fantastic world map wall sticker might just be the one for you! Depicts the glorious new Pantene colour of the year in all its glory, making it perfect world map decor for those who wish to keep themselves up with the hottest fashion! Choose your size and purchase this stunning decal now!